AvailabilityItems ship from multiple locations and may arrive at different times. Usually leaves the warehouse in 2-3 weeks. Returns Please refer to the specific product descriptions included in this combo. 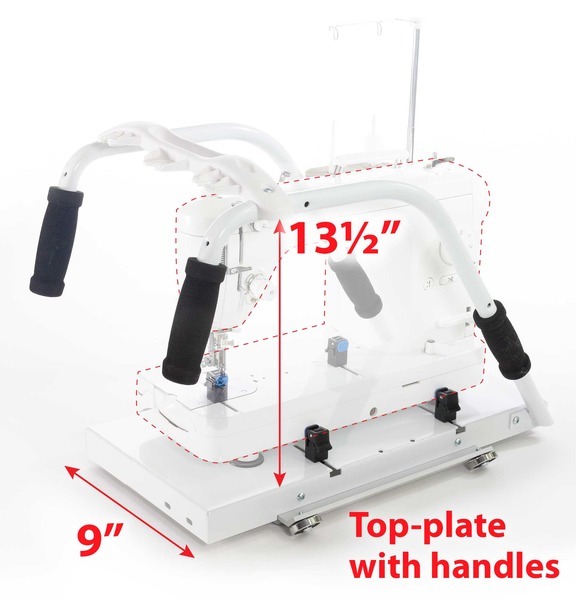 What compatible quilting frame will Qnique machine go on? INCLUDED: Grace Qnique 01-10190 Rear Handles For Q'nique 15R, 15M or Q21"
The Q-Zone Queen Frame is replacing our SR2+ Frame. 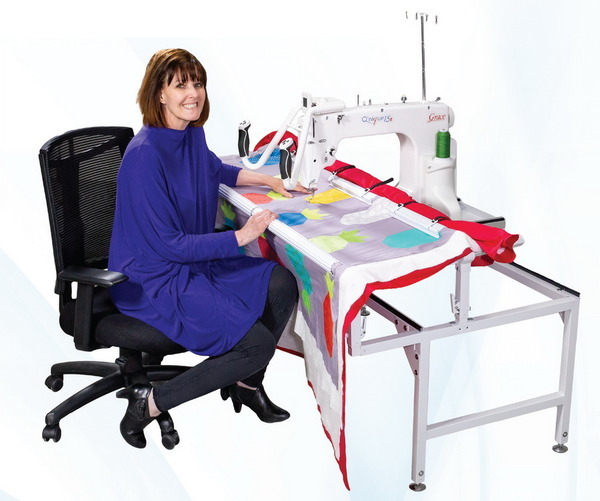 The NEW Q-Zone Queen Frame offers features that now include height adjustable legs to allow you to quilt sitting down or standing up with the added ability to adjust in height and width to accommodate longer arm quilting machines. Your customers will be able to start with their home machine and, when they’re ready, purchase a longer throat machine. This keeps them coming back time and time again to you, their Grace Dealer, for their quilting and sewing needs. 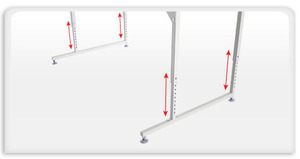 The Grace Q-Zone Queen Frame gives your customer an affordable frame that will last for years. The New Q-Zone Queen frame has features that are normally found on our more expensive frames. Height adjustable legs you can quilt either sitting or standing. Adjust the arm length so you can either put your home domestic machine or the Q'nique 15R and bigger. Other features include two rails for quick and easy fabric attachment and a dual track carriage your machine will glide smoothly across your frame. Q-Zone Queen is a sturdy steel and versatile frame at a friendly consumer price. Max quilting area - 84"
Viking - Mega Quilter 9"
Manufacturer's US warranty 5 year limited warranty on defects in materials and workmanship. Non-US Warranty: To view the warranty for this combo, please view specific warranty information on the individual product pages. The Q-Zone Machine Quilter offers a high-quality machine quilting frame at an affordable price. This model has been improved with a superior track system for smooth quilting machine movement. This frame also features a 2 rail system and the new Quilt Clips for easy fabric control. Just clip the Quilt Clips to the quilt and rail for even tension without having to roll the fabric. 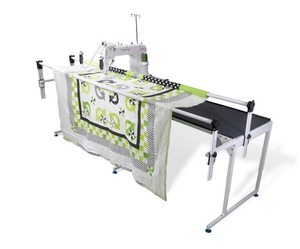 When it comes to high-quality machine quilting frames, there is an impressive selection featured online at top quilter’s websites. In fact, the use of quilting frames is linked to the process of quilters needing to rotate their creations. The frames or stands allow quilters to tilt, rotate and to simply have this tool to enjoy quilting in various comfortable positions. Online testimonials from longtime quilters point to the best machine quilting frames are produced by the Grace Company frame manufacturer. Another aspect of having the best quilting frame is linked to stands that quilters say can be “easily adjusted” for working on a creation without worry during the quilting process. For instance, a quilter commented online about how her Grace Company frame easily adjusts for both right and left hand use. A good frame is vital for such things as better stitch control. Work sitting or standing. For any quilting machine. Height-adjustable. Budget-friendly. 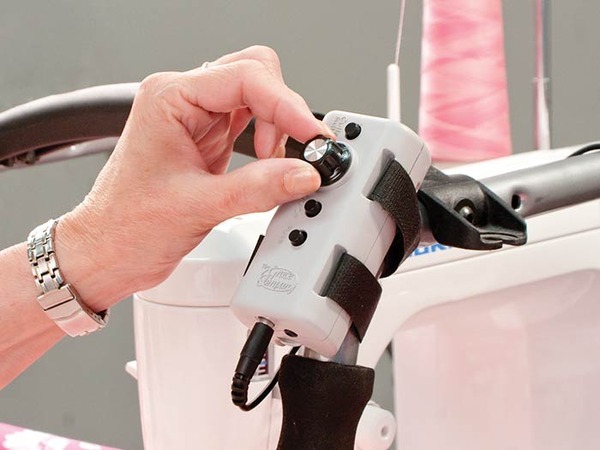 BUILD THE PERFECT QUILTING SYSTEM USING YOUR OWN MACHINE The Q-Zone Hoop-Frame is perfect for cross-brand compatibility and made to work with many quilting machines, from domestics to longarms with up to a 19-inch throat space. See more detail about machine compatibility in the Maximum Home Quilting Machine Size section farther down. Perfect for quilting/sewing machines of any brand! MAXIMUM HOME QUILTING MACHINE SIZE If you're planning on using any quilting machine besides the Q'nique quilting machines, you must make sure your machine fits in the area on the top-plate, between the handles Width: 9 Inches Height: 13 Inches (From the top of the head to the bottom.) Maximum Throat Length: 19 inches If you are planning on using a Q'nique 15 with your frame, you will not need the top-plate and handles. The Q'nique will sit directly on the bottom plate of the carriage. SMOOTH CARRIAGE SYSTEM The "G-Series" track and carriage system on the Hoop-Frame enhances quilting machine motion and precision. LEVELING FEET No matter what floor your frame is on, these feet are an easy way to make sure it's level and balanced. 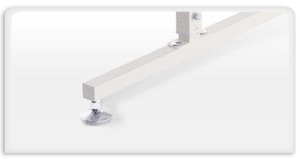 HEIGHT-ADJUSTABLE LEGS For attaching the fabric layers to the take-up rail, the Fabri-Fast™ slots and tubing make it easy, without the use of tacks, ties, or tape! Complete it with our time-saving cloth leaders to help you attach your fabric to your frame easily, and accurately. BUNGEE CLAMPS For Perfect Side Tension The Bungee Clamps provide excellent and even side tension at the edges of your quilt. These new and improved Grace Company Bungee Clamps have been designed with a sleek new profile to make attaching and removing them even easier! SPEED CONTROL for Compatible Machines. 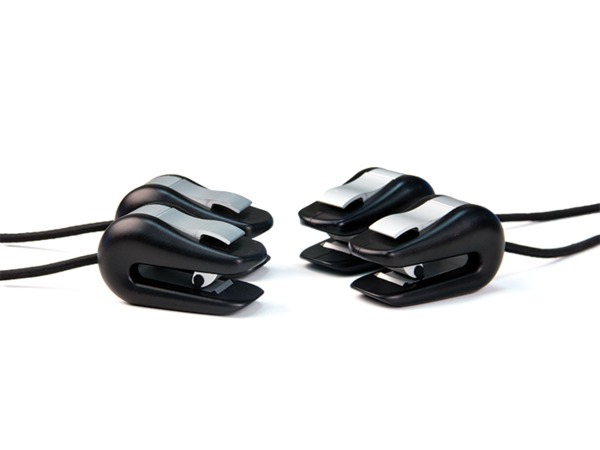 Quilting power at your fingertips The Grace Speed Control is a foot pedal replacement. Use the dial to set the speed of your sewing machine as you quilt. It works with many sewing machines on the market. Check the compatibility list to see if it will work with your quilting or sewing machine! Optional TABLE INSERTS Add a table-top surface to your Q-Zone for pantograph tracing and other uses from the back of your frame. Optional CLOTH LEADERS A time-saving product to help you attach the fabric to your frame easily and accurately. Includes three king size cloth leaders printed with precise guide marks and pin lines. 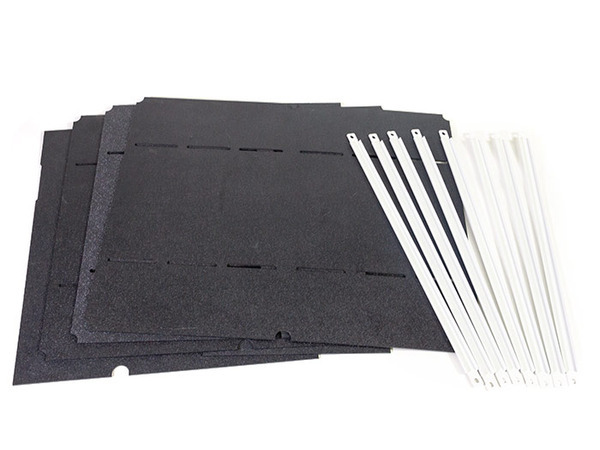 It includes a Velcro® attachment kit that is used to secure the cloth leaders to your frame. Grace Company quilting frames The popular Grace Company motto, “We provide the tools, you create the masterpiece” rings true for quilters when commenting online about user friendly machine quilting frames. For example, today’s clever quilter needs all sorts of frames to help them create projects that require a good foundation and tools to get the job done. Grace frames are credited with having all the bells and whistles to compliment the hand or machine sewing process. For instance, Grace quilting frames feature easy to adjust rails for both needed height and adjustments. At the same time, the Grace Company “Fabri-Fast” frame quilting system is featured in all of the company’s rails. The manufacturer notes that its machine quilting frames allow the quilter to have more freedom during the creation of quilts. The features include: Quilting system that frees one from needing the usual quilting ties, tape or tacks. 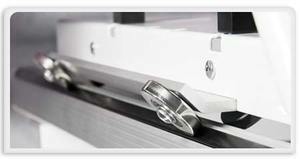 A true user friendly system for sliding fabric into the quilting machine rail slot to secure it without worry. Frames that are credited with having a fluid and really smooth “feel” when working on a creation. Frames made with solid metal construction and really smooth gliding on its quality and proven plastic track that never lets a quilter down. Frames designed for accurate movement and perfect for precise work with tools for intricate stitching on small or large stitching surfaces. Various clamps and slots that allow for all types of quilting work styles via the manufacturer’s many additional quilting notions or accessories that make this process really fun and enjoyable. In general, The Grace Company is the gold standard for creating high quality machine quilting frames that are priced reasonably and backed up with great product support, warranties and customer service. Quilting frame for machine & hand quilters At a time when many quilters are looking for a high quality quilting frame for either machine process or to help hand quilters with their creations, Grace Company frames meet the need with high customer ratings. 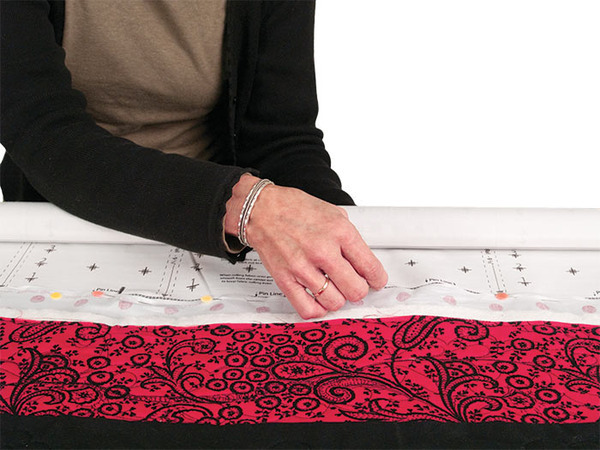 For instance, a longtime quilter explained online that without a good machine quilting frame that features such things as height adjustable rails or legs, “one’s job is much more difficult.” The quilter said she needed fame for hand quilting that is easy to examine when working on various layers of her quilt creation. Meanwhile, Grace Company features a “no-baste, no-fuss” system that includes aluminum rails featuring precision ratchets that translates to a quilter being able to use the best machine tools to get just the right amount of tension. In turn, hand quilters say they appreciate such things as easy fabric attachments, the unique Grace Company “flip-up rail” and other adjustable features that make quality with this frame very successful. Quilting made easy with Grace Company The machine quilting frames on offer from Grace Company are not only fun to use, but are considered to be very nice to look at as well. For example, both the Gracie King and Gracie Queen models include special rails for batting, stunningly lovely looking wood craft construction that says “high quality.” In addition, there is no worries about being able to move around a quilt creation because these high quality machine frames feature adjustable legs, leveling fee, strong rails for big quilts and specialized bungee clamps to keep one’s creation properly secured for detailed quilting. Frame quilting at home made easy Machine quilting frames are not made alike. There are the gold standard Grace Company models, and there is everything else. However, one sets Grace Company apart is a true quality customer service support system that compliments the company’s top of the line quilting frames that are priced for every budget. The company’s online catalog and website offerings are impressive when it comes to a keen knowledge and understanding of what today’s modern quilters really need when talking true machine quilting frames that never let you down. For instance, the company’s trending SR2 machine quilting frame offers any quilter a great looking and working machine at an affordable price. Overall, the modern quilter needs a machine quilting frame that compliments his or her unique quilting style and process. The Grace Company “gets” this fact, and is credited with designing its machine frames with the quilter in mind. The result is a family of Grace quilters who share their appreciation of these top of the line machine quilting frames with friends and family. The beautiful quilts produced with the aid of Grace Company machine quilting frames is the result. What Qnique or Brother Model Quilting Machine will QCT be attached to? What Grace or Brother Model Quilting Frame will QCT be attached to? 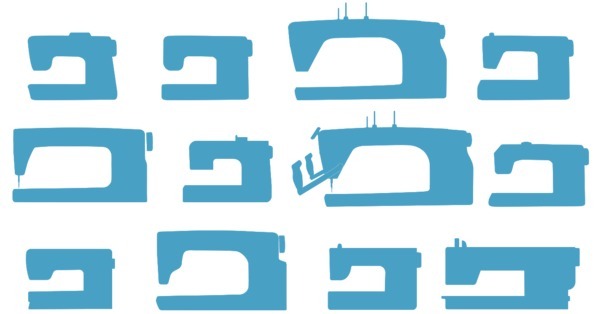 What brand and model number machine that will you be using? Confirm brand and model number quilting frame that will you be using? Q-Zone 102" Queen Frame, Adjustable Depth/Height, Quilt Clips, Bungee Clamps for Qnique 15+ 15R Q19"
Grace Continuum 10' Professional Quilting Frame +Channel Locks, Clips,Leader Cloths, up to Q21" Quilting Machines: Qnique 14+15R, Q21" Brother DQLT15"
BERNINA Demo Q24" Longarm Quilting Machine, BSR Stitch Length Regulator* 2200SPM, Auto Threader, Digital Tension, 12' Frame, San Antonio TX, West Ave.